This weekend’s St. Mary Festival includes a performance by a local band that has a curious link to The Beatles. The Gas Pump Jockeys will open on the main stage from 5 to 7 p.m. on Friday, June 19. The group consists of: Rick Brown (bass, vocals); Scott Langley (drums, vocals); Mike Losekamp (keyboards, vocals); Pat McLoughlin (lead vocals); and Don White (guitar). The newest member, Losekamp, was formerly in The Cyrkle, which scored two big pop hits in 1966 — “Red Rubber Ball” and “Turn Down Day.” The Cyrkle was managed by Brian Epstein, who managed The Beatles, but broke up not long after his death. Losekamp was the only member of The Cyrkle that stayed in music. Therefore, McLoughlin jokes that his band is two degrees removed from The Beatles. He said it’s a great feeling when the audience recognizes The Cyrkle’s hits. The Jockeys arose from a 1980s country-rock band McLoughlin was in called Cimarron, which recorded one album in Nashville and had some hits on the international country charts. 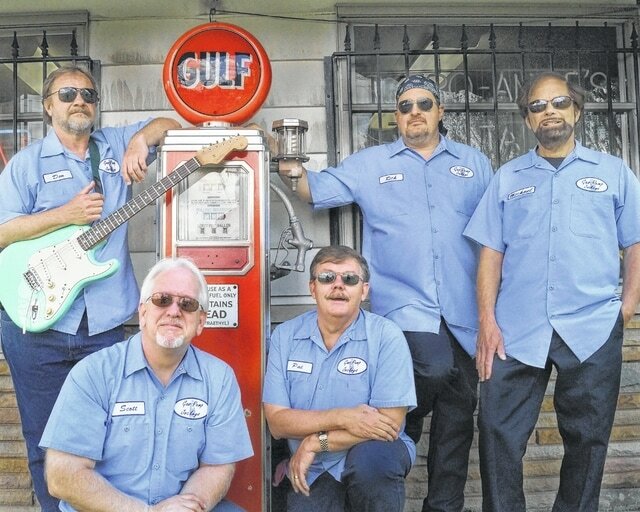 Cimarron was influenced by McGuffey Lane and Phil Dirt and the Dozers, but in 2002 they changed their name and sound to classic rock from the 1960s and 1970s, with a humorous nod to the days of full-service gas stations. Based in central Ohio, the Gas Pump Jockeys got the St. Mary gig through ties McLoughlin had from his “Local Lix” radio show on WDLR. Other groups performing at the St. Mary Festival are Shotgun McCoy; The DiVide; Project 75; In a Jam; 11 Cent Dimes; and Classic RPM. The St. Mary Parish Festival will take place from 5 to 11:55 p.m. June 19-20 at 82 E. William St. New this year is a teen-centered area with a DJ and a taco truck, climbing wall, bungee jump and raffle wheel. The event includes carnival rides, inflatables, midway and casino games, silent auction and raffle, food from Mom Wilson’s Country Sausage and Berwick Catering. “I think that’s a festival that’s going to get bigger,” McLoughlin said. Henry Street south of William will be closed Thursday through Sunday for the festival. For those coming on Saturday, note that the Ohio Machine Major League Lacrosse team will have a home game at 7 p.m.
For more information or tickets, visit http://www.stmaryfestival.com/.